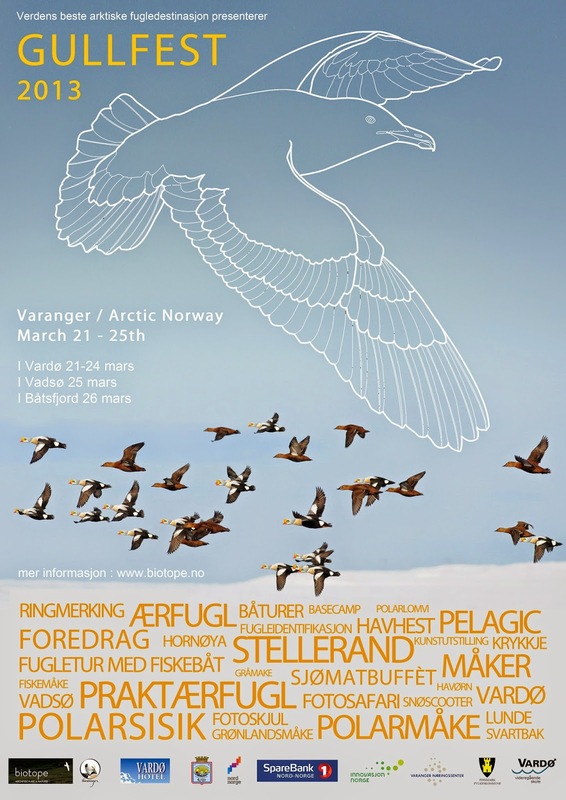 Gullfest is an annual arctic bird festival in Varanger / Arctic Norway, produced by Biotope. 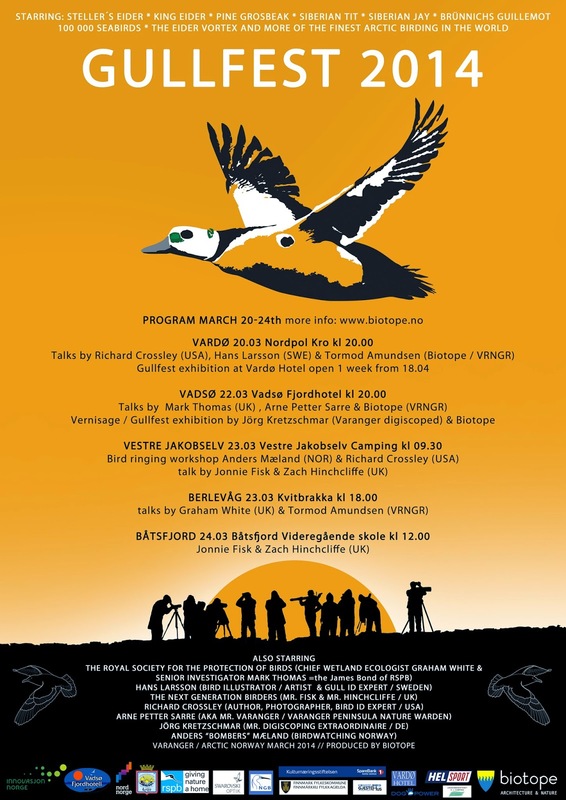 During this 5 day event in Varanger we invite inspirational people from the international birding community. 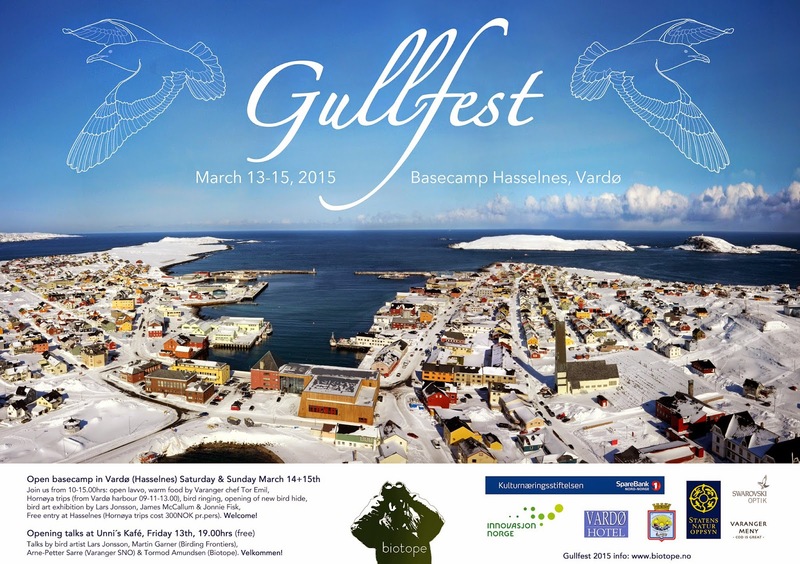 Gullfest celebrate the rich and unique bird life of Varanger, while maintining a focus on global conservation, bird identification, bird art and so much more. 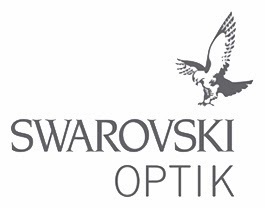 With Gullfest we aim to contribute to give Varanger international recognition as a premium birding destination. 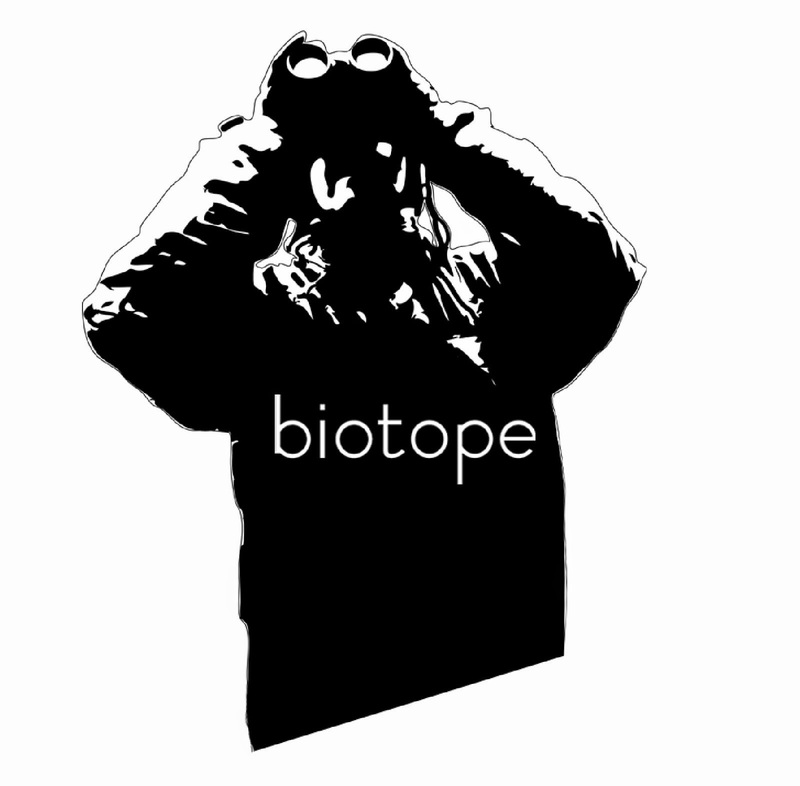 Locally we aim to promote birds and nature, and to build care and appreciation for the regions unique bild life and nature. 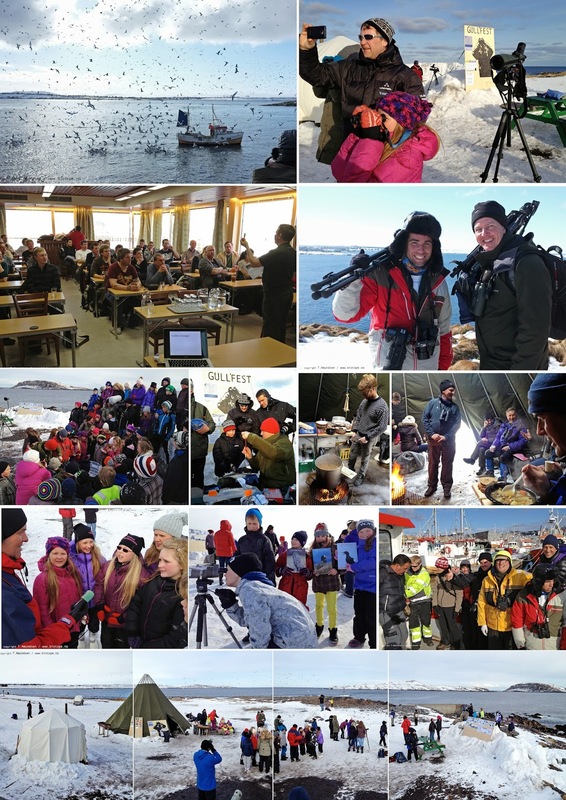 Gullfest is a great blend of international bird experts meeting local people during five days of talks, exhibitions, trips, bird ringing and much more. 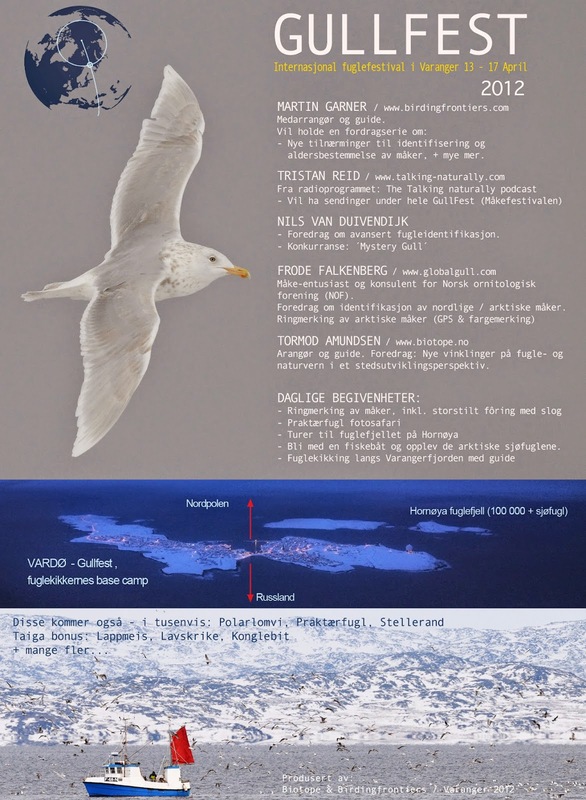 Gullfest is birding to the people!